Leidytown Schoolhouse in Hilltown, probably 1894. This photo came from an album belonging to the Fellman family. A note with the original photo identifies two of the students. The first student on the left in the first row is Horace Fellman. 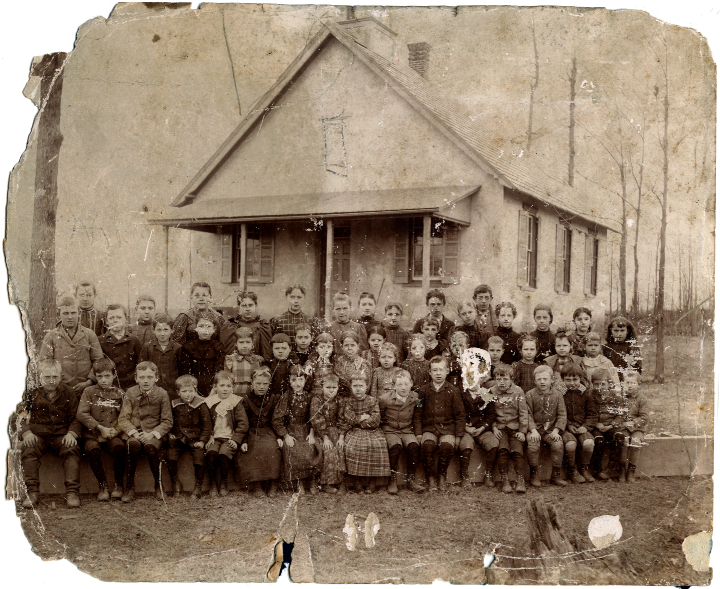 The first student in the second row is Walter C. Fellman. Click for a larger version. The schoolhouse still stands today, but has been converted into a church.